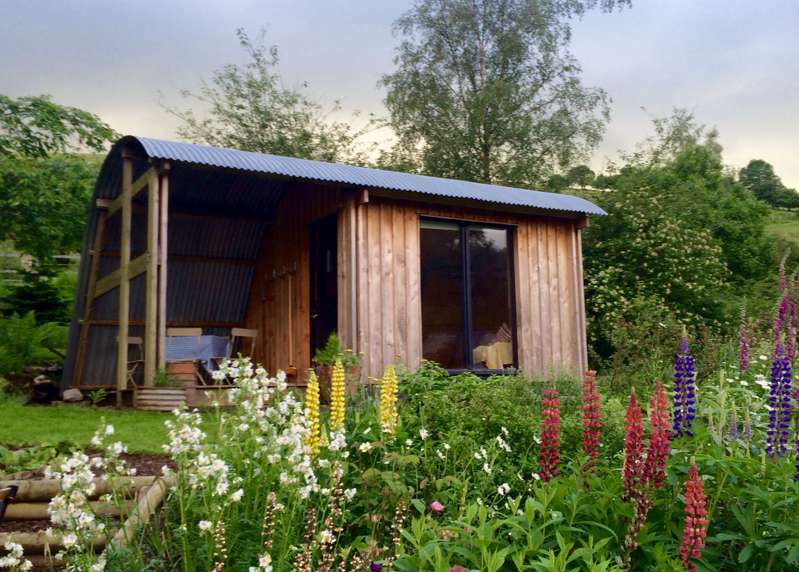 Willow Pod stands alone in beautifully planted and landscaped gardens at the heart of the Brandy House Farm. It has its own terraced patio with seating and plenty of space for a fire pit or BBQ. There are 2 drop down beds which can either push together to make a double or kept separate as 2 singles. The panoramic windows offer you views over the farm and down the Teme Valley. There are couple of comfy chairs inside. Perfect for 2; couples or friends wanting lots of space and boasts a little oil filled radiator too so there is the option of heating. Should you want to bring the children with you there are 2 fold out mattresses as well.